There are so many complicated formulas and ingredients out there to choose from when it comes to buying supplements – that is, if you do not understand the science or these concoctions. The question that you care most about is if the product is going to function as promised. Nobody wants to endure trial and error, especially when it comes to our health and spending our hard earned cash. We simply want to be able to trust that a company is going to deliver us a product that will work the way we would hope and achieve our goals with ease. This is why we have conducted thorough research and complied the information about the labels available to use using our expert knowledge and evidence based on clinical study results to provide accurate reviews for those who are trying to find the perfect supplement to purchase. You can trsut the experts and save yourself the hassle! Animal Test is a testosterone booster produced by Universal Nutrition. 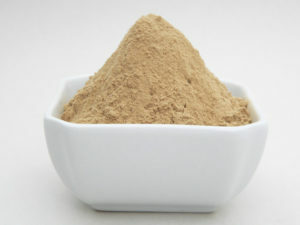 It is a powder form that comes with anti estrogen compounds that inhibit the female hormone and uses other potent ingredients to increase the male hormone, testosterone. Testosterone helps build lean muscle mass, boosts up energy and strength and the product promises to also generate a quicker recovery time. The ingredients consist of a variety of substances that are said to assist the body building process. Within one serving you will receive doses of the following: 3,4 Divanillyl Tetrahydrofuran, Yohimbe, Trans Reservatrol with Hesperetin, 6′,7′ Dihydroxybergamottin and Patented Bioperine and Arachidonic Acid. The Arachidonic Acid is the most notable ingredient and a hypertrophic agent which enhances androgen receptor sensitivity – boosting muscle development through promoting inflammation and growth. When we are training and begin to sweat, this ingredient is stimulated and it generates an anabolic sate for body, thus increasing the male hormone, blood circulation and fat burning capability. 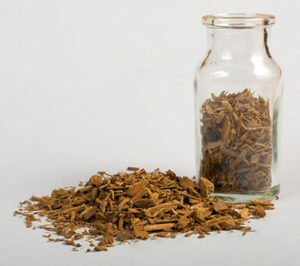 Divanillyl Tetrahydrofuran comes with anabolic ketosterones from Cissus Quadrangulus and regulates testosterone levels. Yohimbe is said to impact the libido and physique. To block the production and circulation of estrogen (the female hormone) you can find Trans Reservatrol with Hesperetin. For nutrient absorption there is Dihydroxybergamottin and Patented Bioperine. For a product that doesn’t have immediate effects, this supplement can be seriously expensive at 21 packs (one pack per day) $78.28. Sadly, there are no trial packs available for this product and so you take your chances! It is expensive spending more than a hundred dollars a month but for anyone reluctant to take supplements in a tablet form this is great. The issue is the product contains Yohimbe which can cause some side effects such as dizziness, insomnia, increased blood pressure, and nausea. Overall, it would be better to use the leading muscle building supplement on the market today Xtreme Testosterone which has zero chance of nasty symptoms like these and has a much fairer monthly value at $19.95 per bottle.